It's rare that we preview non-title fights but we think sometimes an exception can be made, and one such case is this weekend's bout between Japanese superstar Ryota Murata (2-0, 2), pictured, and former world title challenger Carlos Nascimento (29-3, 23). The bout, which takes place on "Ring of Gold", is a contest that will give Murata his first chance to impress an international audience and will be an opportunity that he will want to take in impressive fashion. When it comes to Murata we have an exception to almost every rule about eastern boxing. The guy is an Olympic champion at Middleweight, he's an Amateur Championship runner up at Middleweight and whilst he's not the most refined he has a pro-ready style right off the bat. He does everything a professional does and does it like someone with a lot more professional experience than a typical novice. That's not to say Murata doesn't make mistakes, every novice makes mistakes, but he seems to know that he needs to adapt when mistakes are made and build on his own strengths. This has seen him work hard on keep his hands up between punches, tightening up his defenses and most recently working on head movement. He'll never be a defensive genius but he will be a fighter who shows drastic improvement fight after fight as he adapts to the professional scene. In Carlos Nascimento we're going to see Murata in with his first real puncher. So far he has faced two relatively light hitters and managed to walk through their best shots with out blinking. In Nascimento however he is facing a guy with genuine venom and the type of guy who can hurt you when he lands. Whilst Nascimento is a puncher he's never proven his power above the Brazilian domestic level and when he has stepped up he's shown an inability to really take punishment. His lack of toughness has seen him being stopped by Serhiy Dzinziruk, in a WBO Light Middleweight title fight, Pawel Wolak, and Martin Murray. Whilst Murray has got an array of hurtful shots there is little excuse for being stopped by Dzinziruk or Wolak, neither of whom could be described as a "puncher". For the few issues that we do spot of Murata's one of them is not his power. The guy is strong, powerful, tough and even his jab seems to be jolting. Against the 40 year old Nascimento it's hard not see Murata doing what he did to Dave Peterson in his most recent bout. Murata will likely start slowly applying constant intelligent pressure before picking up his pace and breaking down the Brazilian. What we expect to see from Murata is not just a stoppage but a more responsible performance. He'll hopefully be less willing to take a shot to land one and his intelligent pressure become more intelligent. 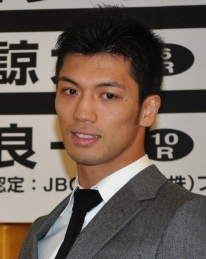 We think that is the next step for Murata, the improvement in his boxing IQ. That'll come as he spends time with Ismael Salas but hopefully we'll see signs of it here against the first man who may be able to hurt him. There is no title on the line here but there is a lot at stake and if Murata can't win in the style expected of him his career will certainly take a hit. Anything but a stoppage victory will see Murata come in for some criticism.